It’s not just a fall which may injure or kill someone in the workplace. Employee wellbeing can be affected by a stressful environment or workload, a bullying culture, or a sexist boss. The wellbeing of the workforce should be at the top of every manager’s in-tray. 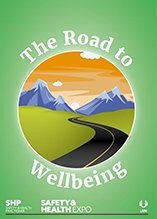 Learn more about some of the many wellbeing risks your company faces on a daily basis in this video, and download SHP’s free ‘Road to Wellbeing eBook‘. 3 Risks to employee wellbeing and how to avoid them It's not just a fall which may injure or kill someone in the workplace. It can be a stressful environment or workload, a bullying culture, or a sexist boss. Learn more about some of the many wellbeing risks your company faces on a daily basis. 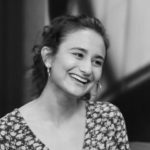 Jenna Kamal is the copywriter for UBM’s Protection & Management series, including Safety & Health Expo. She is also the resident playwright of Rumble Theatre, where her writing focuses on wellbeing and mental health.